February 11 – Pressure is mounting on FIFA and the Afghan authorities to do more to combat the grave situation of sexual abuse among the country’s women players. 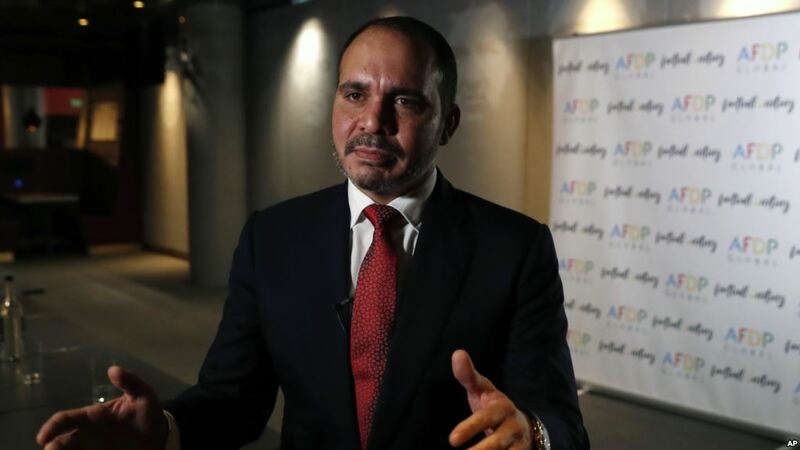 A campaign spearheaded by two-time FIFA presidential candidate Prince Ali Bin Al-Hussein has called on FIFA to set up a fully independent body to investigate claims of abuse and to establish a proper grievance procedure so that victims are not too scared to come forward. Last October Prince Ali dumped football politics in order to concentrate on trying to use the game as a tool for social development, announcing that the non-profit Asian Football Development Programme which he created and which has supported a number of projects throughout the Continent was being expanded to become the Association Football Development Programme (AFDP) Global. To that end, AFDP Global recently convened a round table in London comprising prominent female sports officials and human rights groups including Kelly Lindsey, the American head coach of the Afghan women’s team whose allegations partly led to Afghan Football Federation president Keramuudin Karim being suspended even though the Afghan FA has dismissed the allegations as “groundless”. Following the London meeting, nine recommendations were sent to the Afghans and another seven to FIFA. Tellingly, not one of the three high-ranking FIFA officials invited to the summit, including the organisation’s two top female representatives – general secretary Fatma Samoura and Sarai Bareman, Chief Women’s Football Officer – took up their invitations. It is understood Samoura declined at the last minute though it is not known what her reasons were. Odd, nevertheless, that she didn’t attend given her roots and background. Cynics might speculate that their non-attendance – especially that of Samoura – was a deliberate political snub to Prince Ali, who took on Gianni Infantino for the FIFA presidency three years ago and lost amid not inconsiderable acrimony. Whatever the reason for their absence, it didn’t send out the most positive message in terms of the seriousness with which FIFA is taking the Afghan issue although it should be stated that Andreas Graf, FIFA’s human rights manager, did dial into the meeting. Although FIFA set up its own human rights advisory board in 2017 to provide independent advice on the organisation’s human rights responsibilities, it is understood none of its members has any expertise on sexual assault or exploitation – just at the time when the Afghan situation has lifted the lid on a potentially much wider crisis in women’s football. Hence the need for other organisations to push for urgent action. Among the claims against Karim is that he had a secret room in at the headquarters of the Afghan FA – a building allegedly funded with FIFA development money – with a thumbprint lock on the inside where he could abuse players with impunity. As a result, one of the key recommendations of the AFDP Global is that federations found to be complicit in sexual exploitation should have their FIFA funding curtailed.